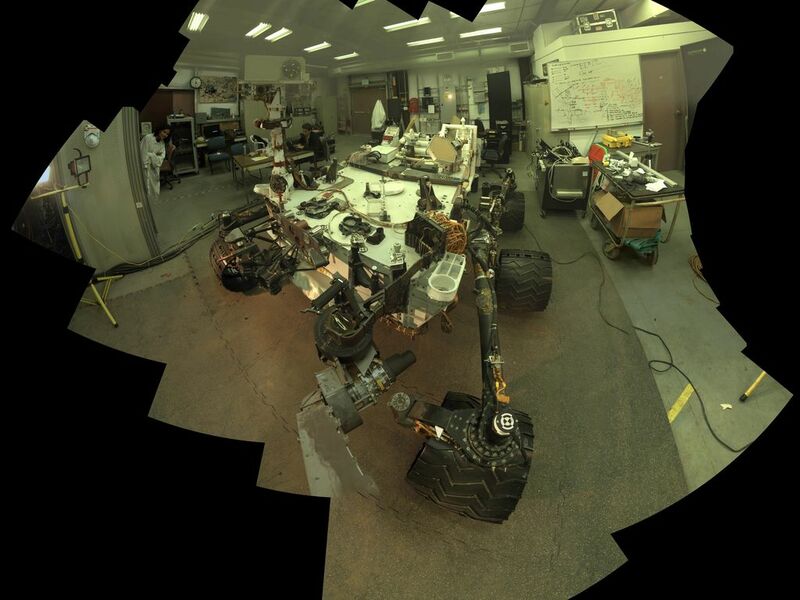 Camera and robotic-arm maneuvers for taking a self-portrait of the NASA Curiosity rover on Mars were checked first, at NASA's Jet Propulsion Laboratory in Pasadena, Calif., using the main test rover for the Curiosity. 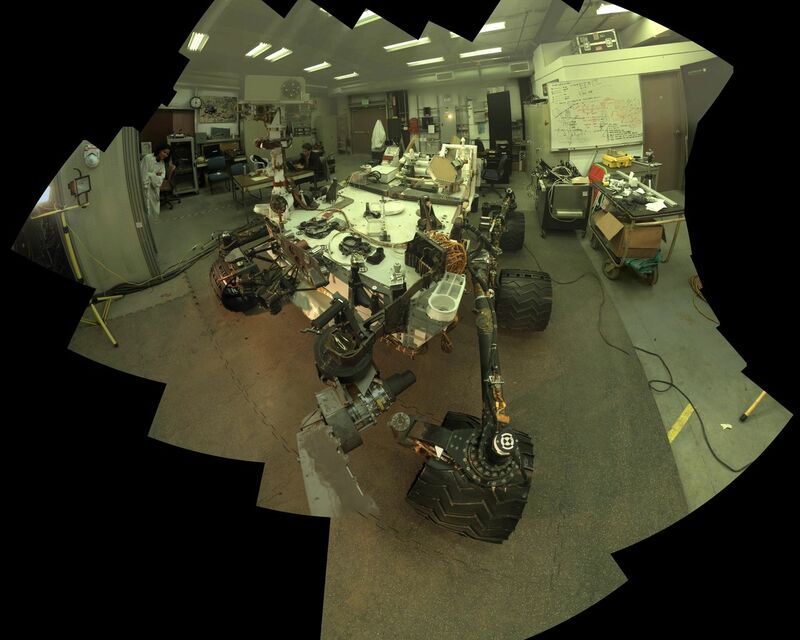 The Vehicle System Test Bed rover is the closest double in existence for Curiosity. The rover team typically uses this test rover at JPL to try new maneuvers before sending commands for those maneuvers to Curiosity. 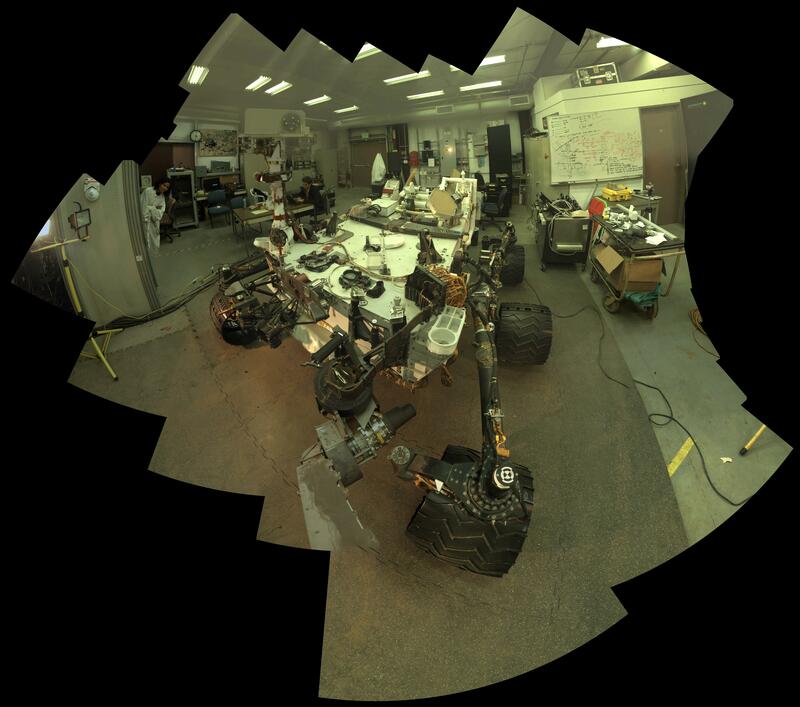 This self-portrait of the Vehicle System Test Bed rover inside JPL's In Situ Instrument Laboratory resulted from doing that pre-testing of the commands for Curiosity's self-portrait, which is online at PIA16457. Curiosity used its Mars Hand Lens Imager (MAHLI) camera, mounted on a turret at the end of its arm, for the self-portrait. The test rover used an engineering model of MAHLI. The rover's arm, about 7 feet (2.1 meters) long, does not appear in the image. It was positioned out of the shot in the images or portions of images used in the mosaic. Malin Space Science Systems, San Diego, developed, built and operates MAHLI and the MAHLI engineering model. 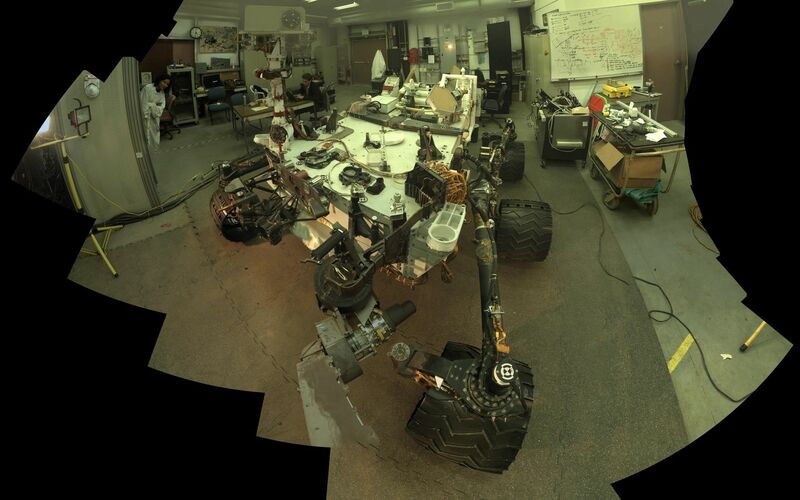 NASA's Jet Propulsion Laboratory, Pasadena, Calif., manages the Mars Science Laboratory Project and the mission's Curiosity rover for NASA's Science Mission Directorate in Washington. Curiosity and the mission's Vehicle System Test Bed rover were designed and built at JPL, a division of the California Institute of Technology in Pasadena. Photojournal Note: Also available is the full resolution TIFF file PIA16458_full.tif. This files may be too large to view from a browser; it can be downloaded onto your desktop by right-clicking on the previous links and viewed with image viewing software.